In keeping with Dara Security’s mission to encourage future generations of Computer Engineers, the company recently established a $1,000 Scholarship at the University of Nevada, Reno. The scholarship is available to Juniors and Seniors working towards their Bachelor of Science in Computer Science and Engineering. The first scholarship will be awarded for the 2017-2018 school year. 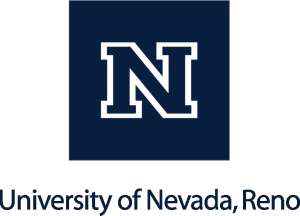 When UNR opened its Cybersecurity Center in 2014, we immediately saw a partner in our mission. They recognize the enormous implications cybersecurity has on the economy, military, personal and professional growth, and most aspects of life, as computers have become intertwined with almost everything. Their focus on this growing field opened additional career pathways for its students that it is our pleasure to support. At Dara, we believe in the importance of fostering the next generation. Before the scholarship, we helped support students in a variety of ways, such as giving lectures, attending events, and answering questions as needed. For example, we have worked with UNR’s WiCSE, a group that encourages women to pursue studies in Computer Science and Engineering. In addition, Dara helped a local high school in need with some much needed repairs, donated to the educational fund of another local high school, and provided support for a STEM based Girl Scout troop. Our people regularly do volunteer work supporting students because we believe that partnering with educational organizations is the best way to ensure the security of the field and the organizations it benefits.